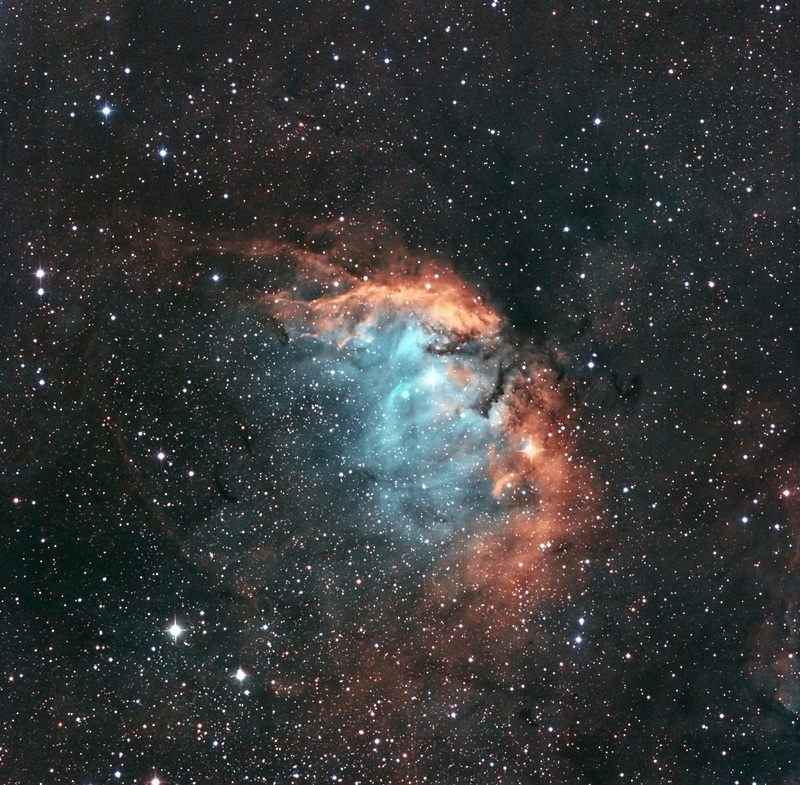 Sharpless 101 (Sh2-101) is a H II region emission nebula located in the constellation Cygnus. It is sometimes also called the Tulip Nebula because it appears to resemble the outline of a tulip when imaged photographically. It was catalogued by astronomer Stewart Sharpless in his 1959 catalog of nebulae. It lies at a distance of about 6,000 light-years (5.7×1016 km; 3.5×1016 mi) from Earth. Sh2-101, at least in the field seen from earth, is in close proximity to microquasar Cygnus X-1, site of one of the first suspected black holes. Cygnus X-1 is the brighter of the two stars (lower star) in close vertical proximity just to the right of Sh2-101 in the image presented here.